Water reed thatching has been used extensively for hundreds of years and is an attractive, versatile roofing material. Thanks to its long lifespan and timeless appeal, water reed remains a great choice for homeowners, whether they live in a modern or period property. 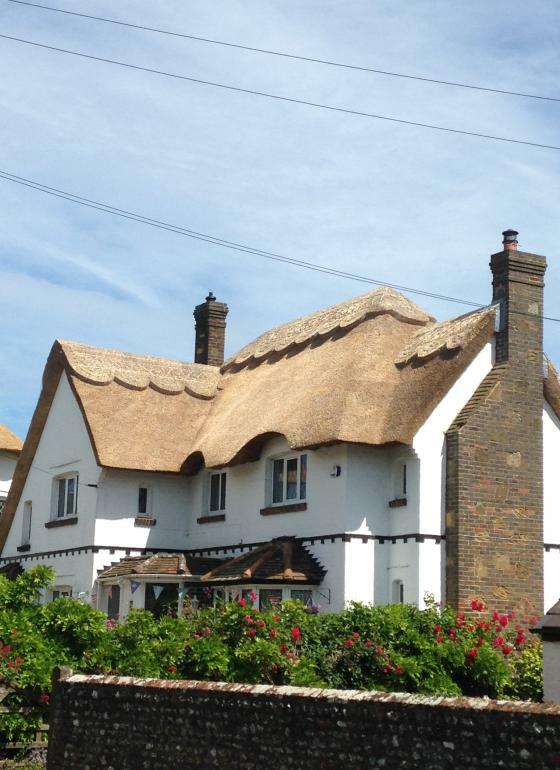 If you have your heart set on a thatched roof, it's important to choose a contractor that has the knowledge and training to deliver the work to a high standard. SJ Eccles & Sons Master Thatchers offer customers the benefit of more than 35 years' experience. We're able to lend our expertise to any roof thatching project, anywhere in the UK. Our tradesmen have been trained in all aspects of traditional thatching, ensuring best practice. We pride ourselves on offering quality craftsmanship with a friendly, transparent customer service and competitive rates. With proper care, you can expect your water reed thatching to last between 50-60 years. Whilst it is more costly than the straw-based alternatives, many of our customers believe the longer lifespan makes it a worthwhile investment. Whether you require a complete or partial re-thatch, coating, patching, or ridging, you can rely on SJ Eccles & Sons to deliver your requirements on time and within the budget. If you'd like to transform your property with a water reed thatched roof, get in touch today for your free, no obligation quotation.